If you’re like most people, you found the robotic taxi driver in The Fifth Element a fascinating concept. Did you wonder if he had to go to traffic school after the accidents he was involved in when Bruce Willis jumped in? That supposedly futuristic question is now upon us as a near-term reality. As the momentum of allowing autonomous cars on the road continues to grow, some are already asking, “Who’s to blame when there is a crash between such a driverless vehicle and others?” Does the remote operator of the auto have to sign up for traffic school online, or do you just reprogram Oscar? While it’s fun to think about these changes and the brave new world of autos, the reality is that today’s roads are made much safer for everyone by the availability of driver courses such as Defensive Driving, Traffic Safety, and Driver Improvement. Statistics repeatedly show that drivers who have regular refresher training are better operators and make safer decisions behind the wheel. While virtually all local and state motor vehicle departments allow traffic school attendance to help work off or avoid traffic fines, you can attend traffic school online for more positive reasons. All major insurance companies provide some form of discount for their policy holders who take a defensive driving course. Additionally, many parents gain peace of mind from having their children attend traffic safety and defensive driving courses when they first start to drive. In addition to saving on insurance, they like knowing professionals have covered the basics and more for their newly-minted and licensed drivers. Regardless of the reason and motivation, attendance at some form of driver school is an accepted rite of passage these days. In fact, there are a wide number of ways to take advantage of what traffic school offers, from comedy versions to self-directed online courses. Most of these courses and schools cover their material in a span of four to eight hours. 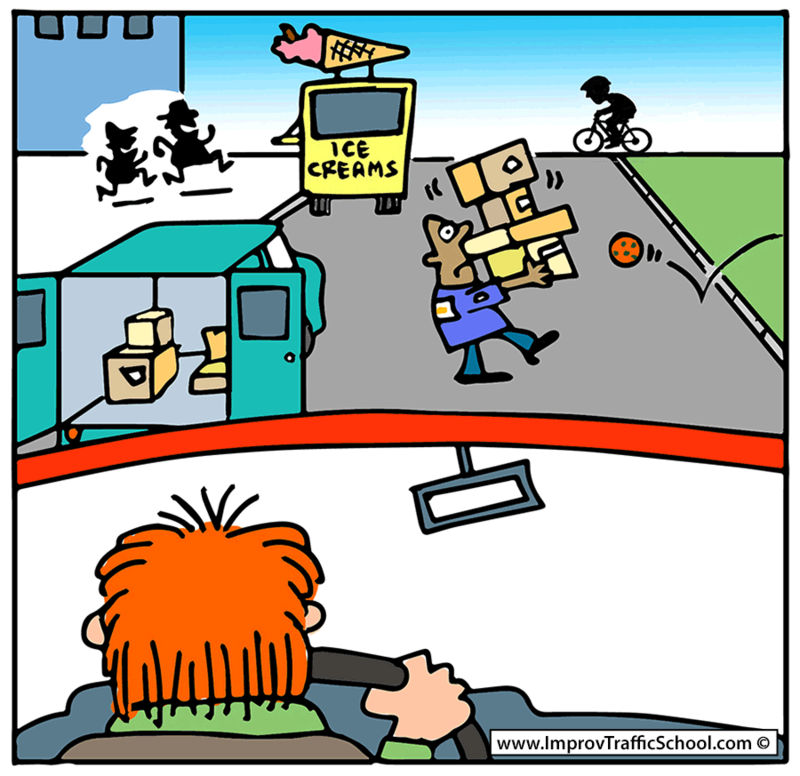 In virtually all cases, traffic schools are set up and run by private companies. You pay a fee to attend and the school reports your passing grade (whatever that may be in your area) to the proper authorities. New York Defensive Driving Program. The NY DMV approach has developed a Point and Insurance Reduction Program (PIRP) that both eliminates points and earns a lower insurance rate. California Traffic Violator School Program (TVS) California DMV officials have implemented a ticket dismissal and point masking program. The states basically see these approaches as a positive way to get bad drivers off the road. If the traffic school changes driving habits, that is seen as a better result than taking away licenses and leaving people without improved driving skills and attitudes. To make traffic school programs as accessible as possible, there is wide latitude in the way the instruction is conducted. However, the basic content remains the same, with the DMV in each state using the same basic guidelines and course material. The basic items you will review are all directed to increasing your driving knowledge and giving you the skills to drive more safely. These include such topics as how to prevent accidents, dealing with aggressive drivers and road rage, and basic rules of the road. If you take traffic school online, you cover the same material, but you have the convenience of picking the time that is convenient for you. In both classroom and online traffic courses you end up taking a short quiz at the end of the course to see if you picked up the key points. The goal is to make you a better driver, not to simply create difficult courses and tests. You may not be attending class with a robotic buddy, but your traffic school attendance will put you in good company with safer drivers.